It's barely spring, but I'm already two watermelons in and both of them were... well blech. The watermelon gets eaten by the kids and husband (who apparently have less discerning taste buds than I do). But it's still a pain to lug a 10-pounder from the car, and spend 15 minutes cutting it (then cleaning up the mess) only to discover the fruit is a little dry and bland. If you've ever thumped 15 watermelons at the store, shrugged your shoulders and grabbed the one you thought just "might" be a good one, thump and shrug no more. 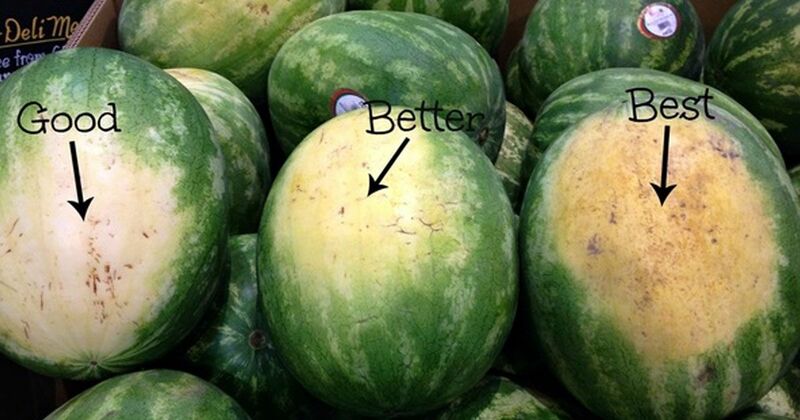 We've got a few tips to make your watermelon hunting a bit easier. Once you pull a watermelon off the vine, it's done. Finished. No more ripening. In a hurry to get watermelons to the market, farmers pluck some of the watermelons a bit early. If you look at the bottom of the watermelon, there should be a creamy patch (like the image at the top of the article). The bigger and darker it is, the better. 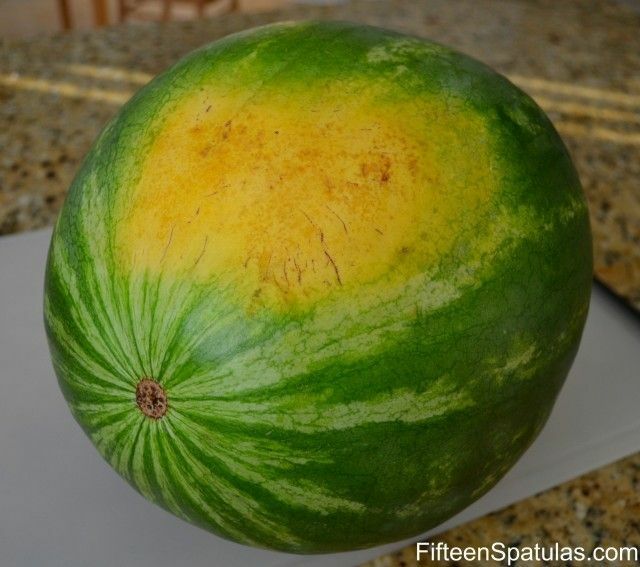 Watermelons should be oval and uniform. If the melon has bumps, lumps, and indentations, skip it. 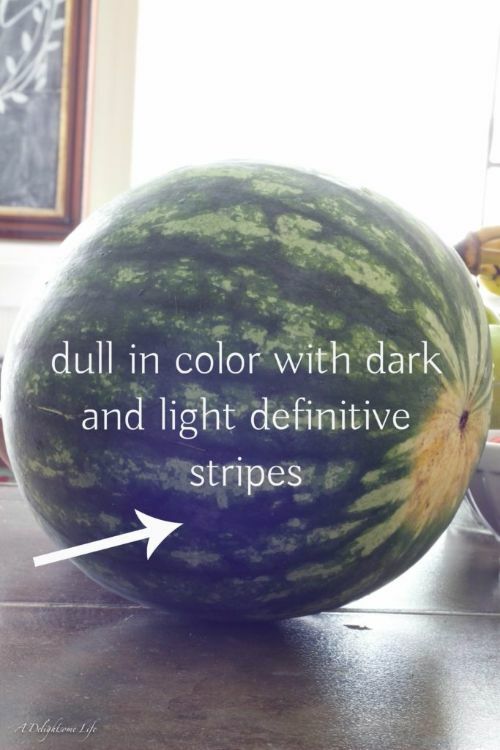 Even coloring and shape means the melon got enough sun and water (food!) to grow and ripen properly. Ripe watermelons shouldn't be shiny. The shine could indicate that the melon isn't quite ripe. Knocking on watermelons is a surprisingly divisive topic. According to What About Watermelon, knocking is pointless. You can knock and listen for a hollow sound, but you're going to get better results by looking at the color, shape and yellow spot. 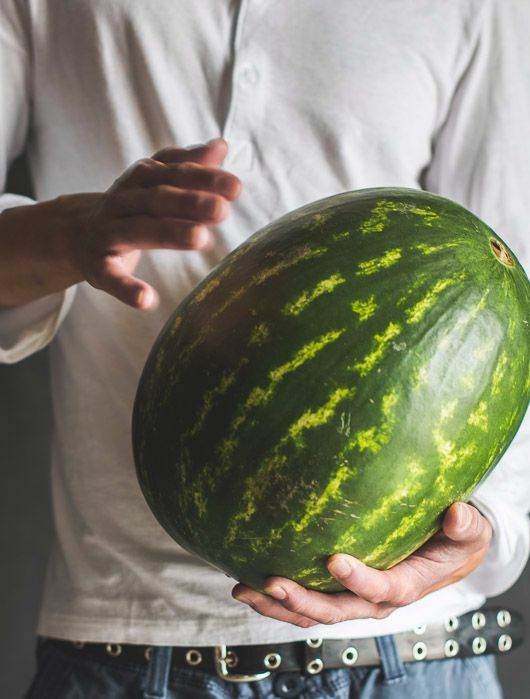 White On Rice disagrees saying that if you hold the watermelon (like you're cradling a baby) and give it a good thwap, you'll feel the vibrations in your bottom hand if the watermelon is right. I say: what the heck. Give it a knock, just make sure to look for the other signs too. Did these tips help you nab a good watermelon? Don't forget to share them with your friends on Facebook.